Are You Looking at the Right X Ray Tech Schools? If you’re looking at x ray tech schools, it’s probably become pretty apparent that there are plenty to choose from. However, there are several factors to consider before you decide to to enroll in any particular program. Perhaps the most important thing to consider is whether the school you plan to apply for is accredited. The Joint Review Committee on Education in Radiologic Technology decides whether a particular program is granted accreditation based on several factors. To gain accreditation, colleges, universities and vocational schools are put through a rigorous review process to ensure they meet all the required standards needed to properly prepare students for a career in radiologic technology. Schools reviewed by the JRCERT are judged based on the curriculum, faculty, facilities, equipment, administrative capacity, student support, admissions practices, student outcomes and the number of student complaints submitted to the accrediting agency. Many students make the mistake of picking non-accredited x ray tech schools only to find debt, and a degree most hospitals and certification organizations won’t even look at. For instance, to become a certified radiology technologist, graduates must pass an exam administered by the American Registry of Radiologic Technologists. Students who didn’t graduate from an accredited program are not even eligible to take the exam. Scheduling freedom, of course, is another consideration. Take inventory of your personal needs and how much time you can spare to attend classes on campus. While there are great online options, no accredited program can be offered 100 percent online. If you need special considerations due to a day job, or other commitments, a hybrid of on-campus and online classes could be the right choice for you. Many colleges and vocational schools also offer evening classes, which are a good option for students with a busy lifestyle. 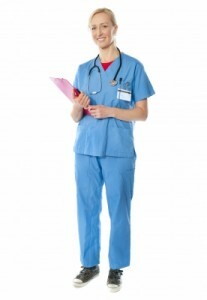 You’ll also want to choose a program with plenty of clinical classroom experience. This will be crucial when it is time to become a registered professional. The college you choose should be able to provide internship experience as well as career services and job placement. Remember, student services are an important part of becoming accredited. Of course, when you are searching for x ray tech schools, it’s important to think about how you plan to finance your education. Look into what type of scholarship and grant programs are available before jumping into a student loan agreement. If loans are a necessity, make sure you are getting the best possible interest rate and never borrow more than you need. Once you have a few schools narrowed down, set aside some time to tour the campuses and meet the faculty. You’ll want to be sure you’ll attend classes in a comfortable setting with plenty of resources. Don’t forget to ask about class sizes, student-to-instructor ratios and job placement rates at any x ray tech school you are considering. You’ll also want to make sure the instructors have plenty of experience in the radiology field. Check out their staff bios on the school website and see if you can find their profiles on social networking sites such as LinkedIn. With some proper research and due diligence, you can make sure the school you choose will put you on the right path toward a rewarding career.